Saudi Arabia has allegedly intercepted a ballistic missile launched from Houthi-controlled territory in Yemen towards Islam's holiest city of Mecca, Saudi state media reports. 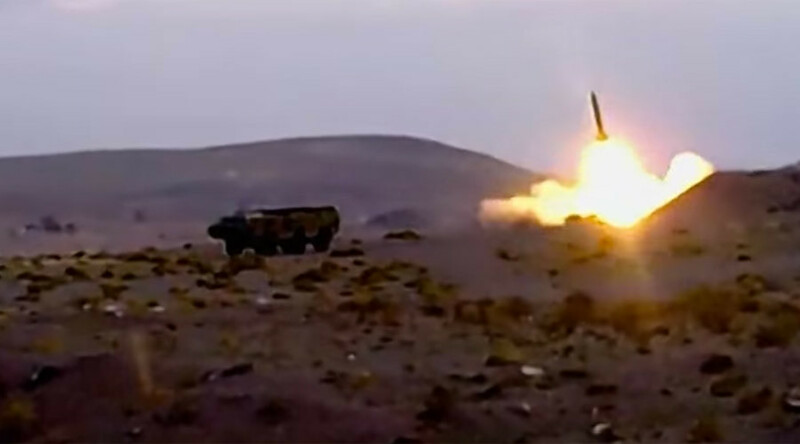 According to the Saudi-led coalition, Houthi rebels launched a Scud missile from Saada province towards Mecca at 21:00 local time (18:00 GMT) on Thursday. The Saudi air defense system was able to intercept and destroy the missile 65 kilometers (40 miles) from the target site. Saudi authorities said the missile caused no damage. Major General Ahmed Asiri, a spokesman for the Saudi-led coalition, accused Iran and Hezbollah of supporting the rebels and training them to use technology which enables them to launch such attacks. Asiri also announced retaliatory strikes against the Houthis. The Houthis confirmed the launch of a Scud-type ballistic missile known as Burkan-1 into Saudi Arabia via Saba news agency, but said the projectile was targeting the kingdom’s busiest airport in Jeddah – not Islam’s holiest city, which lies just over 60 kilometers (37 miles) away. This is not the first time that Houthi rebels have been accused of firing missiles into the vicinity of Mecca. Earlier this month, a ballistic missile launched from Yemen targeted a Saudi airbase in Taif, located outside the Muslim holy city. Sporadic rocket attacks on Saudi Arabia continue as the coalition upholds its military campaign in Yemen. Tensions escalated in Yemen after Shia President Saleh was deposed in 2012 and replaced by Saudi-backed Sunni President Abd Rabbu Mansour Hadi. Saleh’s Houthi supporters, aided by Iran, eventually seized the capital city Sanaa in 2014 and advanced towards the south, seizing large parts of Yemen and sending Hadi into exile. In March 2015, the Saudi-led coalition responded with airstrikes in order to stop Houthi advances and reinstate Hadi back into power. The Houthis and their allies hold most of Yemen’s northern half, while forces loyal to Hadi share control of the rest of the country with local tribes. Up to 10,000 people have so far been killed since the fighting began, including 3,800 civilians, according to UN estimates. Mecca is the birthplace of the Prophet Muhammad and the Muslim faith itself. Only Muslims are allowed in the city, with millions arriving for the annual Hajj pilgrimage to attend the central Masjid al-Haram (Sacred Mosque) which surrounds the Kaaba, Islam’s most sacred shrine.